Irish IT services firm Version 1 has announced a deal to buy London-based Cedar Consulting, and is eyeing further deals in the UK and northern Europe. Version 1 provides software services to corporate and government clients. Buying Cedar will boost its product line in relation to HR services and brings in new customers across financial services, legal services, professional services, life sciences, healthcare and retail sectors. The deal is Version 1's sixth UK acquisition in the past five years but the first under chief executive Tom O'Connor, who was promoted to the top job last year from chief operating officer. He said risks associated with a potentially messy Brexit next year had not deterred the Irish business from buying in the UK. "Even if you take the Doomsday scenario (of a Brexit-induced UK recession), we have the experience of growing through recession here. In the UK there is plenty of market share to be won, even if the market didn't grow," he told the Irish Independent. Mr O'Connor took over as CEO in April 2017, at the same time as Version 1 raised €90m in investment from backer Volpi Capital, a UK-based private-equity firm run by Irishman Crevan O'Grady. The business has acquisition "firepower" for further deals, and has a pipeline of UK acquisitions planned for 2018, Mr O'Connor said. He is also looking at potential acquisitions in northern Europe, he said. Version 1 entered the UK market in 2013. Britain will account for 400 of Version 1's 1,100 employees following the latest deal. Mr O'Connor said he expects revenues in 2018 to be "north of €115m" - up from €105m last year. Version 1 has grown at a pace of 30pc per year over the past five years thanks to a mix of organic growth and acquisitions, he said. That momentum is expected to be maintained. Cedar Consulting will become part of Version 1's enterprise resource planning (ERP) practice, adding expertise in specialist areas. 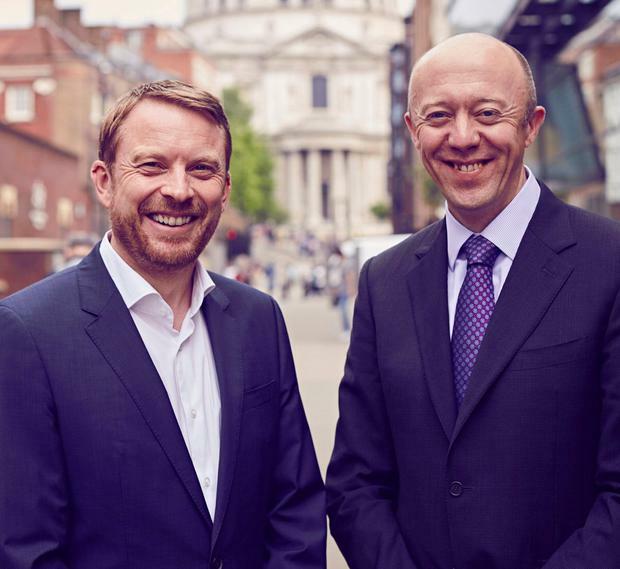 Cedar's directors Simon Wragg and Graham Varley will join Version 1's management team and will continue to manage customer relationships, business development and service delivery excellence in addition to helping oversee the successful integration of the two companies. Version 1 was founded in 1996 by Justin Keatinge and John Mullen. Last year's funding round allowed earlier backers including BDO Development Capital Fund - backed by Enterprise Ireland, Bank of Ireland and CRH among others - to exit the business with a 250pc return after three years. Mr O'Connor has said he's on course to manage a €1bn turnover software company by 2025.